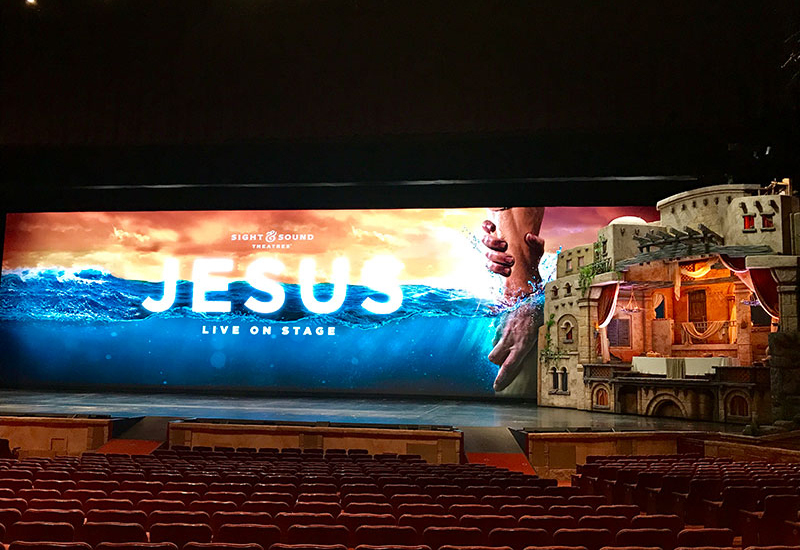 With the assistance of Upstage Video, Sight & Sound Theatres of Lancaster, PA debuted its epic biblical drama JESUS with a 113’ wide by 30’ tall flying LED screen. Installed by our team at Upstage Video, Jesus was brought to life on stage in a bold new scale. 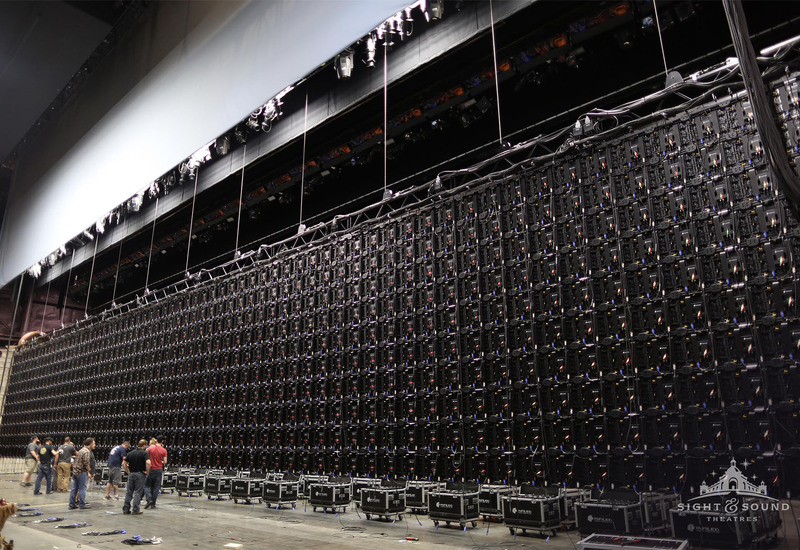 Weighing nearly 12 tons, the screen is used to fly in and out of scenes using a hoist installed by TAIT. 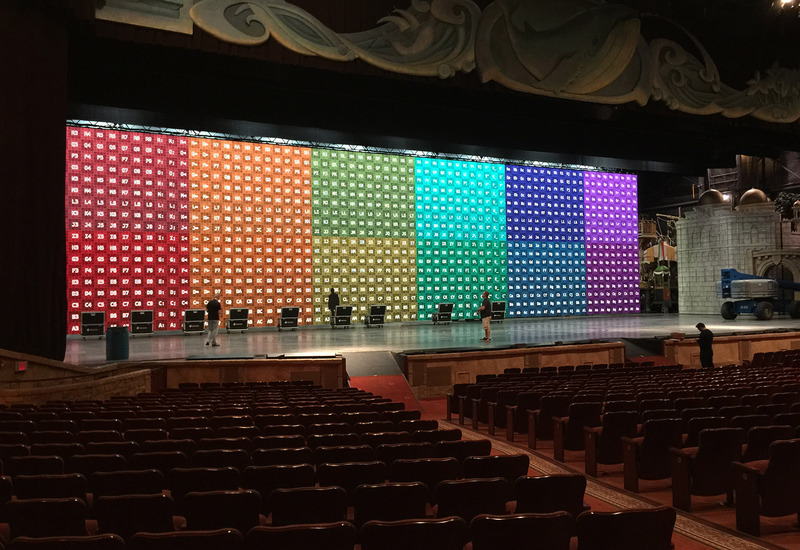 The screen arrived at Sight & Sound’s Lancaster, Pennsylvania theatre in 152 road cases, requiring 12 technicians and 2 days to assemble. 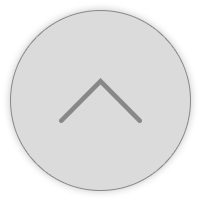 Among its other impressive stats: It's made up of 1,242 individual panels, the width (113’) is the wingspan of a Boeing 737, and almost 3 stories high (30’), contains almost 21 million individual pixels, all of which are driven by an impressive stack of disguise media servers.